The Summerton Club Subscription Service*: This is something that I know my three brothers would love for Christmas! It's a premium spirits subscription club that sends a bottle of a variety of aged spirits to members on a monthly, bi-monthly or quarterly subscription. These include Armagnac, Brandy, Bourbon, Calvados, Cognac, Eau de Vie, Grappa, Rum, Whiskey and Whisky. 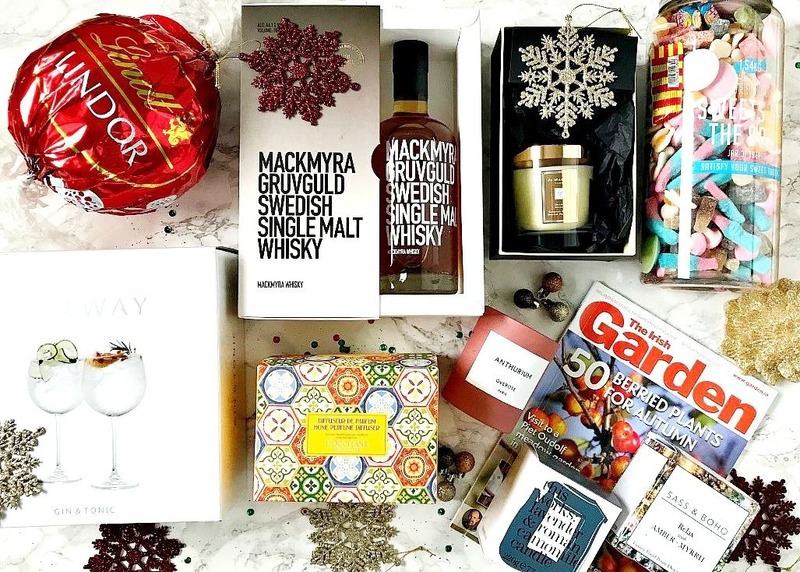 Some of the bottles are not available to buy in the UK so this is the perfect gift for the spirit connoisseur. Membership costs £50 per delivery, which includes post and packaging and the frequency can be decided by you. At the moment, their membership is limited to the UK, however if you are based in Ireland, you could use the Parcel Motel or Parcel Wizard to avail of this subscription. The bottles are delivered on the 20th of each month or the next working day and membership can be paused or cancelled at any time. 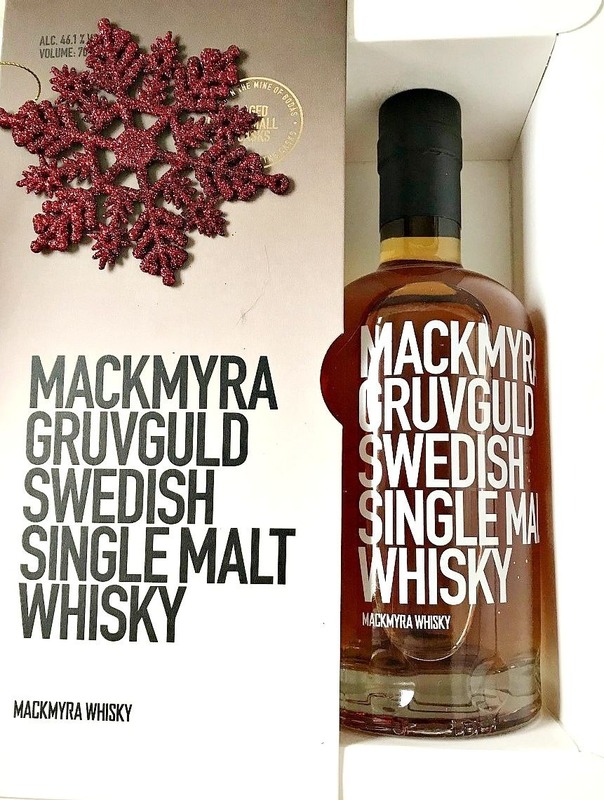 The bottle that I was kindly sent is Mackmyra Swedish Single Malt Whisky, which was October's bottle of the month. There is a different bottle each month and November's bottle of the month is an apple brandy. This is the ideal gift for someone who appreciates a premium, aged spirit and who is tricky to buy for as it's pretty unique. Gin & Tonic Glasses: Rather than having a G&T in a regular tumbler, these glasses make it feel like a treat. They're good quality and inexpensive (currently reduced from £39.95 to £15.96 for a set of two). A crystal glass makes any drink (not just a gin & tonic) feel more decadent, even if you are just staying in and having a drink in your pyjamas in front of X Factor! Retro Sweets: Nostalgia at its finest right here! Who doesn't appreciate a good throwback to when they were young? There are a number of these types of jars - Sweets from the 70s/80s/90s, Fabulous Favourites, Fizzy Sweet & Sour, Fizzy Cola Bottles etc. These are a hit with my family every year! Lindt Lindor Maxi Ball: These are my mother's favourite chocolates so every year, I buy her one of these maxi balls filled with Lindors. This is currently reduced to £10 in Superdrug so if you know a Lindt fan or want to bring a token gift when visiting someone, this is ideal! Candles: I'm a candle addict and I think they make a gorgeous gift! They are certainly one of my favourite gifts to receive. Overose is one of my recent brand discoveries and I am hooked! Not only are the candles aesthetically pleasing with pink wax to match the pink jar but the scents are beautiful - they are all based around varying roses but don't worry if you aren't usually a rose fan because they are mixed with other scents and they don't have an artificial rose scent. The candles in the This Works Sleep range are perfect for those who need help unwinding in the evening. The scent is quite subtle but it is definitely relaxing. Moving on to some festive scents that aren't the of the usual clove and cinnamon variety, I can highly recommend The White Company's White Christmas candle - this combines notes of almond, neroli, frankincense and honeysuckle to create a warm scent that makes any room feel cosy. The scent fills the room without being overpowering and lingers when the candle is blown out. Another non-traditional festive scent is Amber-Myrrh from Sass & Boho. This brand is one of the best I have tried in terms of scent pay-off, even without being lit, the scent fills the room. This particular candle combines notes of lemon, bergamot, ylang ylang, jasmine, cedarwood, vanilla and myrrh to create a relaxing and warm scent. Last year I bought Jo Malone Orange Bitters Fragrance and wished there was a candle in the same scent and this year, there is! Housed in limited edition packaging with a gold label and lid, this candle screams luxury. The scent itself combines citrus with woody notes of amber and sandalwood to provide the perfect balance and ensure that the scent isn't too sharp. Who wouldn't love to find a Jo Malone box under the tree on Christmas morning? L'Occitane Home Diffuser Set*: Not everyone likes candles and for people with small children in the house, the better option is a diffuser. This particular scent is verbena - fresh and citrusy without being overpowering but there are other scent options available. I recommend turning the sticks once weekly to refresh the scent. There are also refill bottles of the fragrance available to buy and complimentary gift wrapping in a CASTELBAJAC Paris box by selecting 'My order is a gift' at checkout. Magazine Subscription: Every year since my husband & I met, he has bought my mother a subscription to The Irish Garden magazine for Christmas. I know that some people think magazines are out-dated but I disagree. I know that I personally still love reading magazines to get away from looking at a screen and my mother says that she loves when this magazine pops through the letter box as she'll sit down with a cup of tea and read for a few hours. Also, a magazine like this, about a hobby, can be referred to time and time again so it offers great value. Do you have any people who are tricky to buy for? Do you prefer receiving beauty or non-beauty gifts? I'd love to hear!